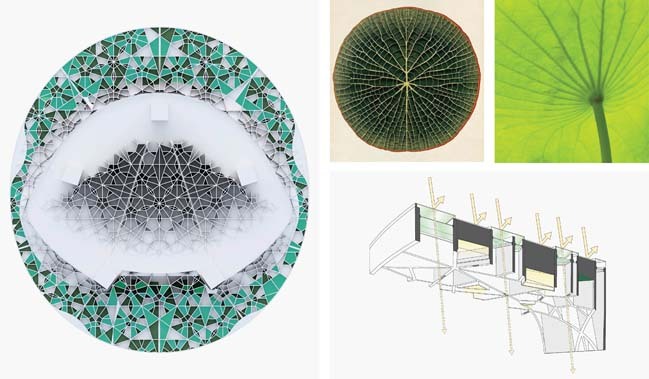 The deciBel(Architecture))) has released the Hanoi Lotus project with an architecture design that is inspired by the lotus - Vietnam's National Flower. 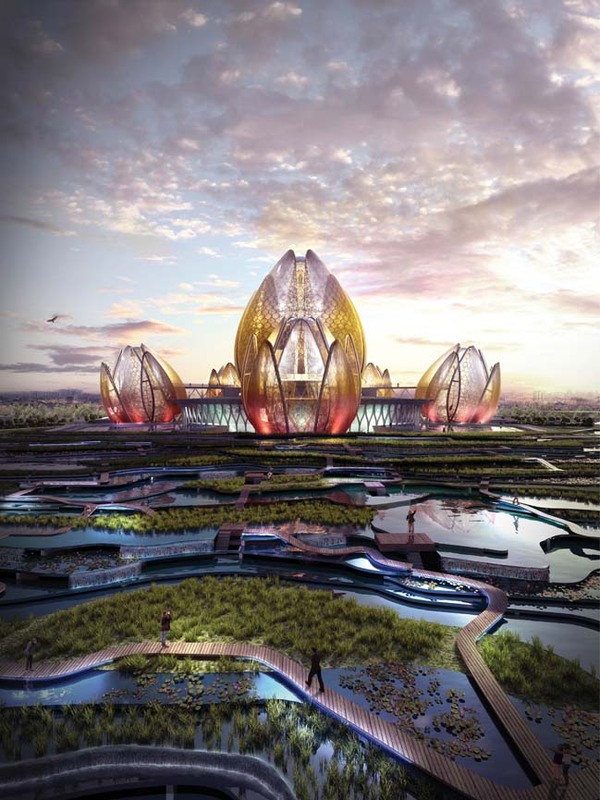 Project's description: Located in the Western district of Vietnam’s capital, the Hanoi Lotus will become the newest cultural epicentre of an area with rapid urban growth. 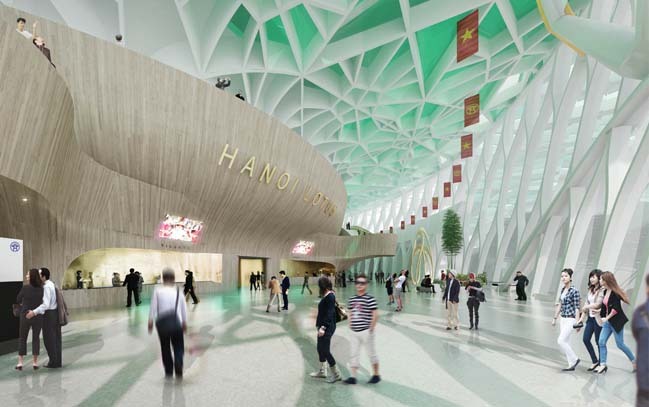 Positioned along one of Hanoi’s main arterial roads that connect the city with Noi Bai Airport it will be a gateway project that will provide a memorable sense of arrival into the city for locals and visitors alike. 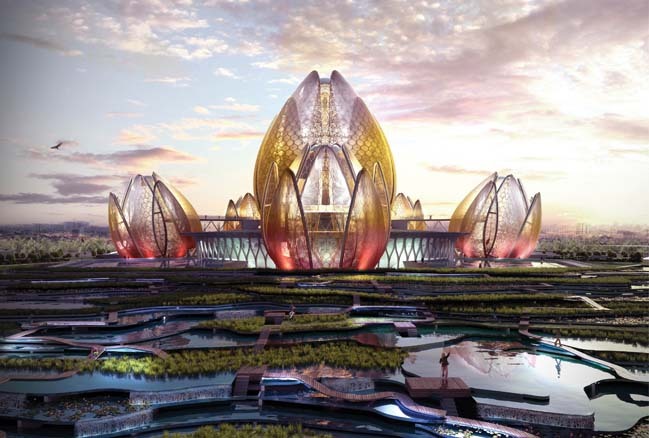 As per the request of the City of Hanoi, the Hanoi Lotus building will sit atop a lake which will act part of the city’s stormwater control system. 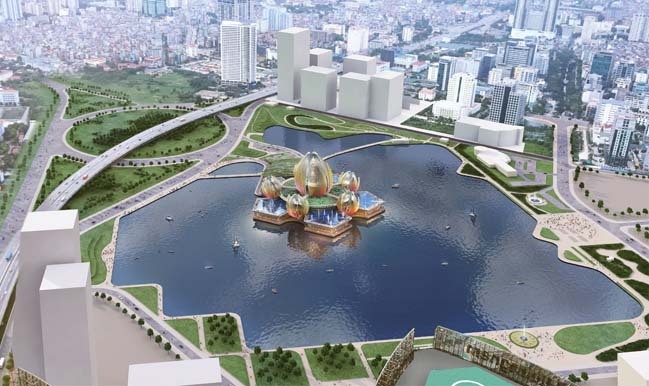 The Hanoi Lotus Building will rise out of this 19ha lake as a symbol of growth and prosperity for the bustling city of Hanoi. 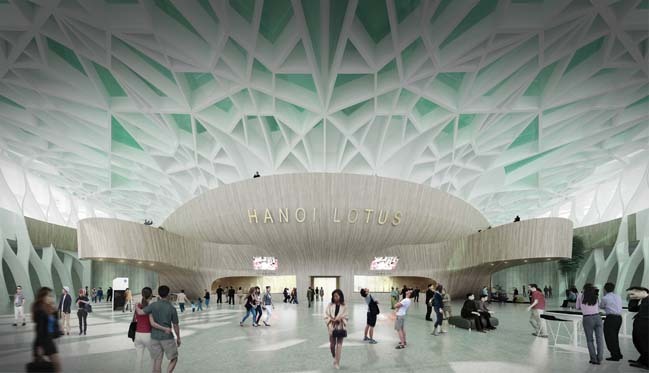 The new Hanoi Lotus Centre harnesses an existing investment by the City in the creation of a major new stormwater mitigation lake and utilises this infrastructural investment as the foundation for an iconic public place celebrating the Lotus, Vietnam’s National Flower. 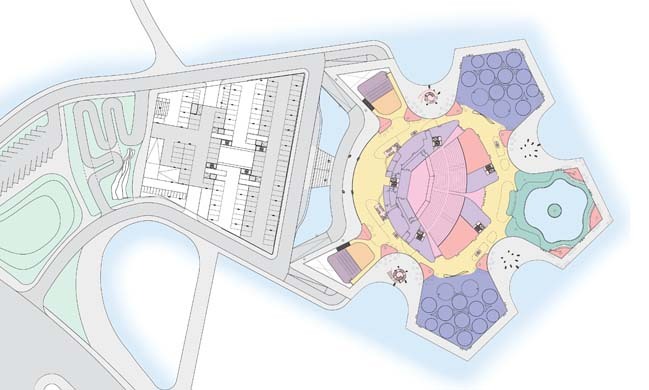 The new park and centre creates a meeting place for family and community, a place to be married, a multifunctional theatre and performance space to enjoy local and international performances as well as a meeting place for tens of thousands of guests to come together. 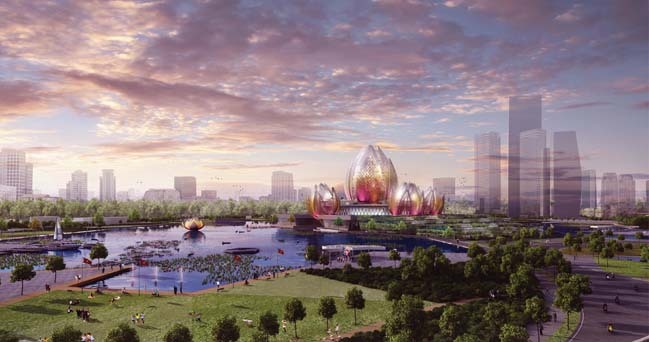 Its iconic nature will position Vietnam and Hanoi on the global stage. The young tightly wrapped lotus flower is a poignant symbol of growth and potential before it bursts open into an elegantly coloured bloom. Bouquets of tightly clustered lotus flower are a common sight on the streets of Hanoi and form the inspiration for the composition of our building. 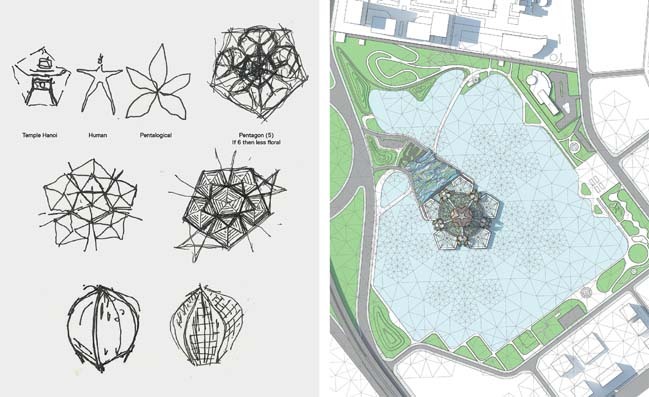 The grid is a pentagonal pattern with the Lotus Building as its central node. This allows it to expand across the site in a non-linear manner. 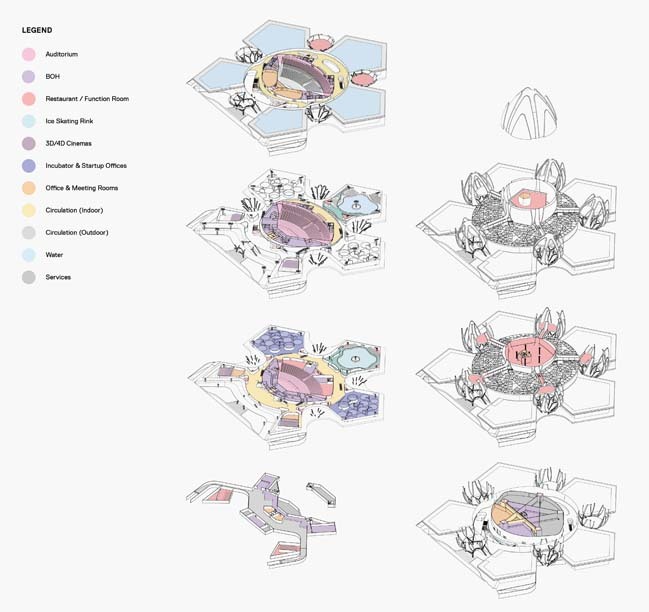 This approach provides flexibility to the design as based on this central node point the grid can be scaled up or down at any point in the design process without effecting the organisational principles of the site. The ceiling to the main circulation space takes its inspiration from the colours and patterns of the underside of the lotus leaf. 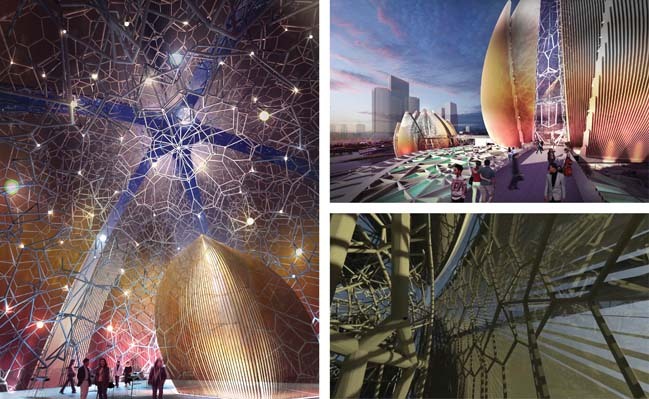 It has a sculpted form which blends into the central auditorium volume and consists of an intricate filigree of coloured skylights and light boxes. The dappled light created by this feature ceiling will create the experience of being under the lotus leaves. 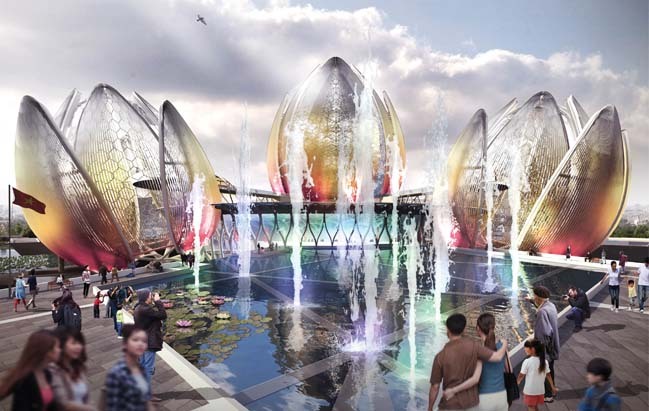 As one of the most striking features in the Lotus Building it will form one of the main wayfinding devices guiding guests from the main foyer around to the lakeside foyer and auditorium entrance. 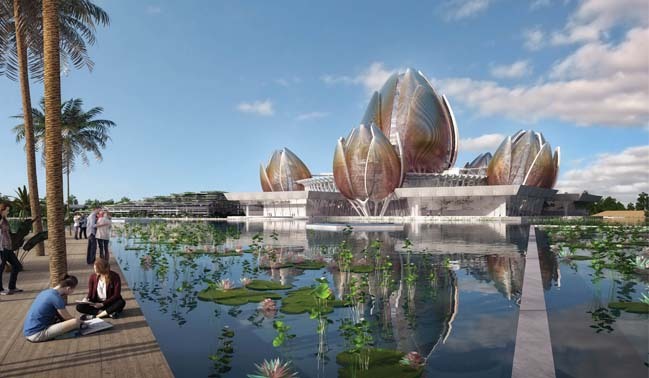 The petals employ a process of bio-mimicry of the lotus flower, the lotus’ natural structures have formed the framework for our structure. 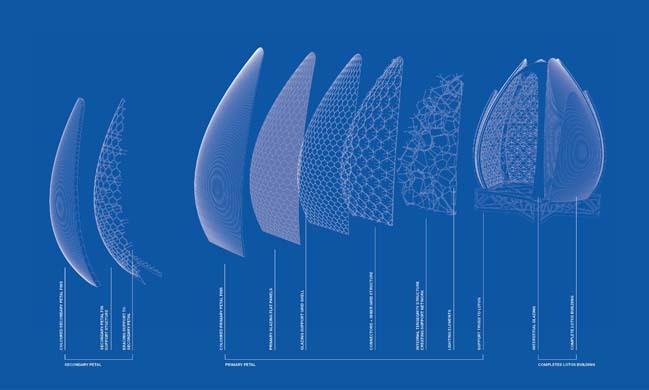 Each layer has been meticulously crafted and forms a complex culmination of fins, glazing, shells and support structure. 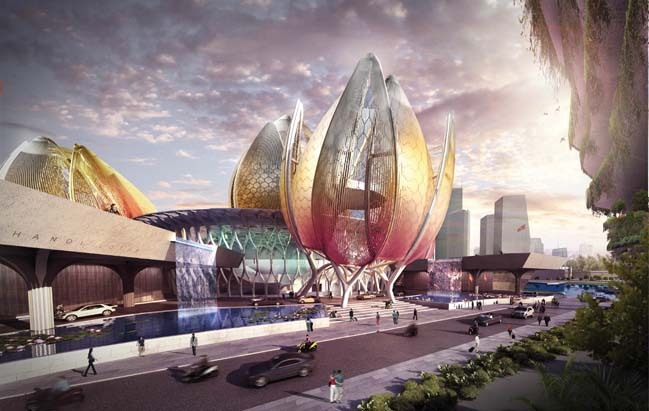 As well as acting as the Hanoi Lotus’ facade, the petals provide shading to the restaurant and VIP areas, an internal tensegrity structure creating the support system and armature for the complex lighting feature.